The Antonov AN-32 light military transport multi-purpose aircraft can be operated in various climate conditions, including hot climate (up to + 50°C) and from the mountain airfields (up to 4500 m elevation). The main aircraft purpose is to transport cargoes over short and medium range air routes. It can be used for carrying military personnel, aerial delivery of paratroopers and palletized and non-palletized cargoes. Rose Mons OU provides military aviation spare parts, components and MRO solutions for the Antonov AN-32 and all variants. Rose Mons OU has experience in the Antonov AN-32Engine Assemblies, Rotables, Consumables, Avionics, Hardware, Landing Gear, Electrical Assemblies, Fasteners, and Structural Assemblies. 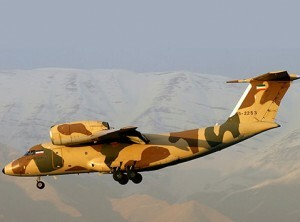 The AN-70 aircraft belongs to a new generation of the short take-off and landing tactical military medium transports. AN-70 is extremely required by army. This aircraft is capable of solving qualitatively new tasks beyond possibilities of previous military transports. It was proved by the wide programme of the Joint State Russian Ukrainian tests, main part of which had been completed. 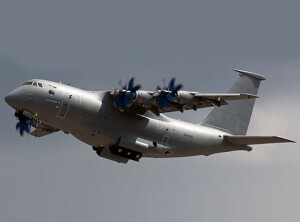 AN-70 can transport almost any item of aeromobile military and engineering vehicles used by armies of the world and to deliver them to poorly-equipped unpaved runways directly to the destination. On this ability, AN-70 surpasses all the existent airplanes. Rose Mons OU can take orders for delivery of Brand New Antonov AN-70 Aircraft. 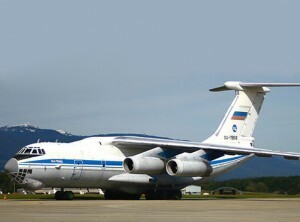 The basis of the family is the AN-74, a twin-turbofan airplane, designed for support of research, ice floe reconnaissance and transport operations in the Arctic and the Antarctic, as well as for commercial cargo carriage over medium-haul routes in all climatic conditions ranging from -60°C up to +45°C. The AN-74 was designed on the basis of the AN-72 military airlifter and inherited from the latter its excellent performance, self-sufficiency in operation on the unpaved airfields and the ability to fly steep flight paths with short take-off and landing. The AN-74 is designed to carry up to 7.5 tonnes of cargo at a cruising speed of up to 700 km/h at a cruising flight altitude of 10,100 m.
The aircraft is powered with two D-36 series 2A turbofans rated at 6,500 kgf take-off thrust each. The engines have low fuel consumption and high level of reliability. They meet ICAO requirements for aircraft engine emissions and noise. High engine arrangement practically precludes ingestion of foreign objects into engine air intakes at take-off and landing even when operating on pebble airfields. Rose Mons OU can take orders for delivery of Brand New Antonov AN-74 Aircraft. The AN-124-100 commercial aircraft has been developed on the basis of the AN-124 “Ruslan” heavy military transport aircraft. It is the biggest serial heavy lifter in the world. It is intended for the transportation of heavy and oversized cargo and various special-purpose vehicles. 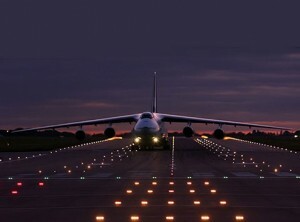 In 1992, ANTONOV obtained the Type Certificate for the AN-124-100. The aircraft meets the noise level requirements of Part III, Appendix 16, of the ICAO regulations, requirements relating to emissions of aviation engines, accuracy of piloting, flights under conditions of short vertical separation spacing, etc. Rose Mons OU provides military aviation spare parts, components and MRO solutions for the Antonov AN-124 “Ruslan” and all variants. Rose Mons OU has experience in the Antonov AN-124 “Ruslan” Engine Assemblies, Rotables, Consumables, Avionics, Hardware, Landing Gear, Electrical Assemblies, Fasteners, and Structural Assemblies. Intended for maritime patrol and resistance to trespassers, electromagnetic radiation and communication facilities intelligence, pollution response role, SAR missions. 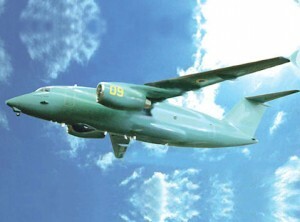 To perform these tasks, the AN-148-300MP is fitted with special equipment, providing radar and optoelectronic search of targets on water, as well as blisters on each side of the fuselage for visual search of targets. The aircraft can be armed with guided and unguided weapons including gun container, guided air to ship missiles and blocks of unguided missiles. While on SAR missions, it can paradrop and airdrop special recovery aids in the disaster zone from pylons under the wing and through the rear side door of the cargo cabin. To monitor pollution zones, the AN 148 300MP is equipped with SLAR, MWR, IR/UV, LFS. Owing to its spacious fuselage, in case of necessity, the aircraft can be used for transportation of personnel and cargoes. Maximum flight duration of the AN 148 300MP is 10 hours, maximum cruising speed is 850 km/h. 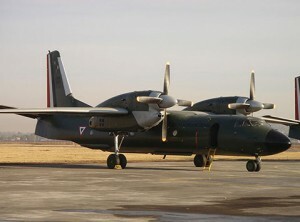 In contrast to other existing patrol aircraft, it can be operated at poorly equipped airfields including unpaved ones. Besides, it can work within a wide range of climate conditions from the cold of the Arctic to the heat of the tropics. Rose Mons OU can take orders for delivery of Brand New Antonov AN-148-300 MP Aircraft. The Ilyushin Il-76 (NATO reporting name: Candid) is a multi-purpose four-engine strategic airlifter designed by the Ilyushin design bureau. It was first planned as a commercial freighter in 1967, as a replacement for the Antonov An-12. It was designed for delivering heavy machinery to remote, poorly served areas of the USSR. Military versions of the Il-76 have seen widespread use in Europe, Asia and Africa, including use as an airborne refuelling tanker or as a command centre. Rose Mons OU provides military aviation spare parts, components and MRO solutions for the Ilyushin Il-76 and all variants. Rose Mons OU has experience in the Ilyushin Il-76 Engine Assemblies, Rotables, Consumables, Avionics, Hardware, Landing Gear, Electrical Assemblies, Fasteners, and Structural Assemblies. Rose Mons OU provides military aviation spare parts, components and MRO solutions for the Ilyushin Il-78 and all variants. 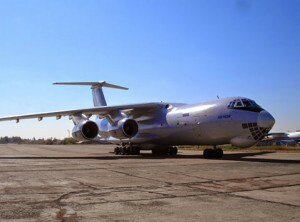 Rose Mons OU has experience in the Ilyushin Il-78 Engine Assemblies, Rotables, Consumables, Avionics, Hardware, Landing Gear, Electrical Assemblies, Fasteners, and Structural Assemblies. The Tupolev Tu-142 (Russian: NATO reporting name: Bear F/J) is a maritime reconnaissance and antisubmarine warfare (ASW) aircraft derived from the Tu-95 turboprop strategic bomber. 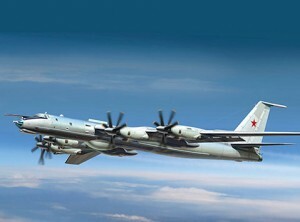 A specialised communications variant designated Tu-142MR was tasked with long-range communications duties with Soviet ballistic missile submarines. The Tu-142 was designed by the Tupolev design bureau, and manufactured by the Kuibyshev Aviation and Taganrog Machinery Plants from 1968 to 1994. Formerly operated by the Soviet Navy and Ukrainian Air Force, the Tu-142 currently serves with the Russian and Indian Naval Air Arm. Rose Mons OU provides military aviation spare parts, components and MRO solutions for the Tupolev Tu-142. Rose Mons OU has experience in the Tupolev Tu-142 Engine Assemblies, Rotables, Consumables, Avionics, Hardware, Landing Gear, Electrical Assemblies, Fasteners, and Structural Assemblies.